A. Natali, C. Conforti (eds. ), Vasari, gli Uffizi e il Duca, exh. cat., Florence, 2011, pp. 328-29, p. 334, n. XII.12. F. Scholten (ed. ), Willem van Tetrode, Sculptor, exh. cat., New York, 2003. 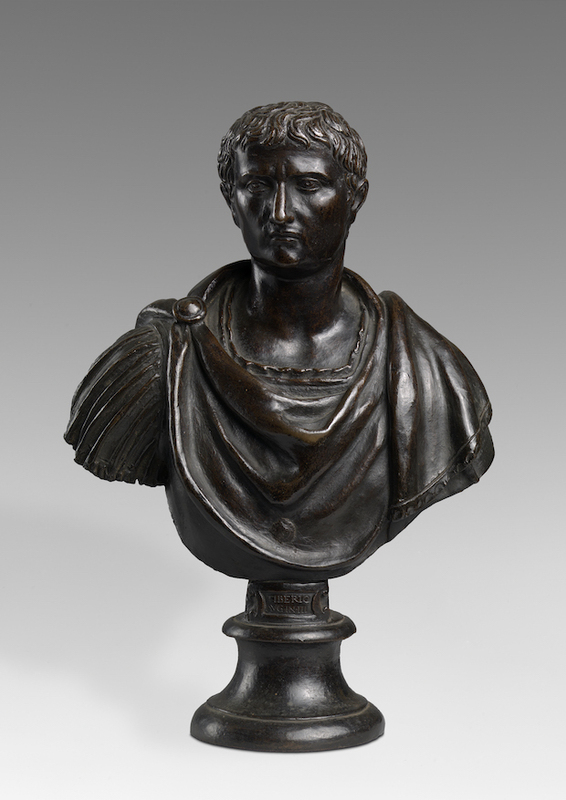 The present bust is closely related to the Bust of Tiberius from the series of Twelve Emperors conceived by Tetrode in Rome around the mid-sixteenth century. Modelled in 1559, they were the sculptor’s first independent commission, one to decorate a cabinet for Niccolò IV Orsini, Count of Pitigliano. The result bronze reductions known as “The Pitigliano Cabinet” represented some of the most celebrated antiquities in Rome, and included the set of twelve emperors. 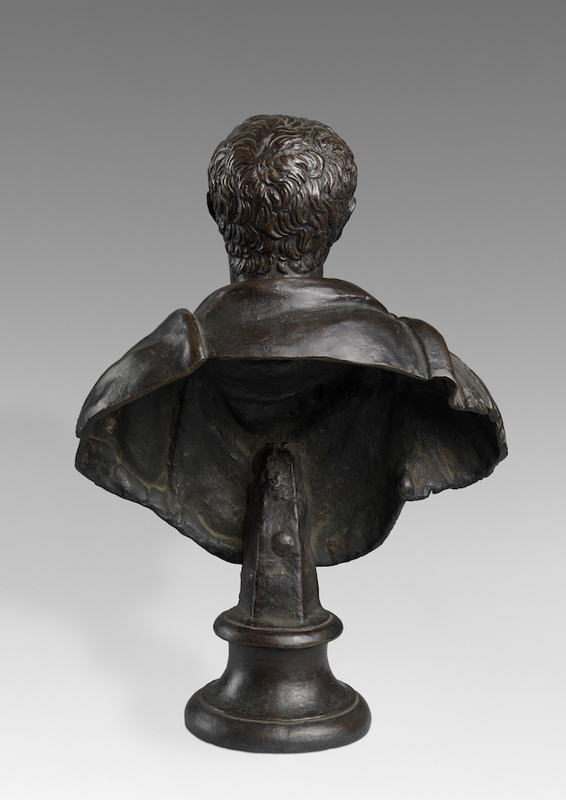 The busts were based on marble models by Guglielmo della Porta (c. 1515-1577). Interestingly, Tetrode was employed in the latter’s workshop and foundry in the 1550s. Soon after completion, the Pitigliano Cabinet entered the possession of Grand Duke Cosimo I of Tuscany. 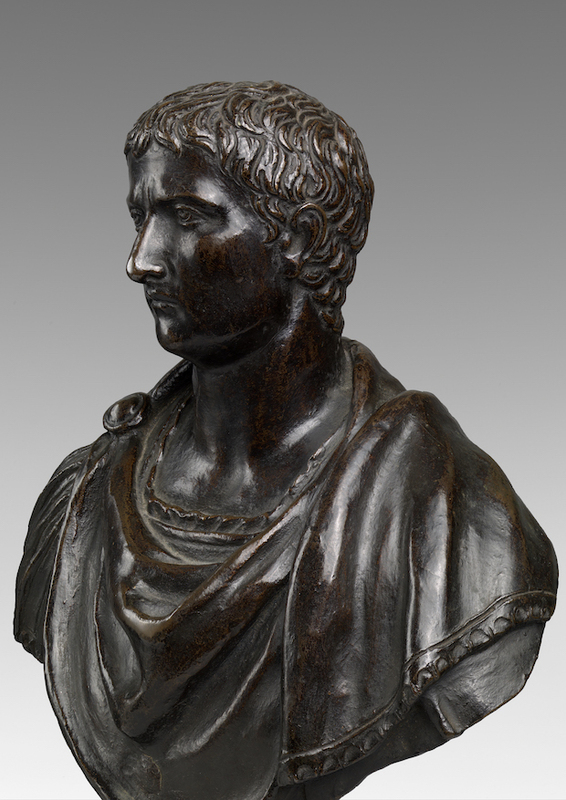 Although lost, the original bronzes, including the busts, survive in the Uffizi, Florence.